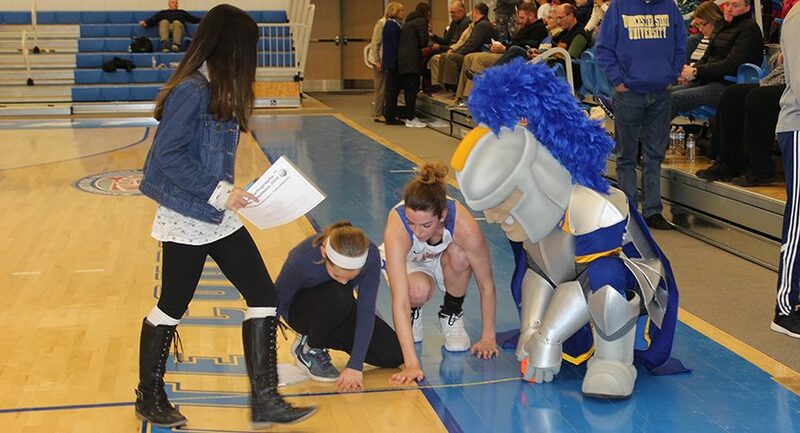 The Worcester State University women’s basketball team hosted its 10th annual “Math Madness” game inside the Lancer gymnasium on Monday, January 8. The event gave local children in the Worcester area an opportunity to enhance their math skills through basketball. “Math Madness demonstrates a practical way to use math,” Tessmer said. Students from the May Street School, Chandler Magnet, and Flagg Street were in attendance and were given grade-appropriate math packets with questions pertaining to player’s statistics, scores, averages, and court dimensions. At the halftime, selected students went down to the court and were assisted by WSU faculty and staff along with Worcester State University women’s basketball players to measure court dimensions. WSU mascot, Chandler H. Lancer, also made an appearance at the event and led a halftime dance-off with the students from all three schools. Unfortunately, Worcester State (6-7) dropped the contest to the No. 2/4 team in the country, Tufts University (12-2). Despite the loss, the event was a huge success. “We enjoyed having the Worcester community come to cheer on the Lancers,” Tessmer said. 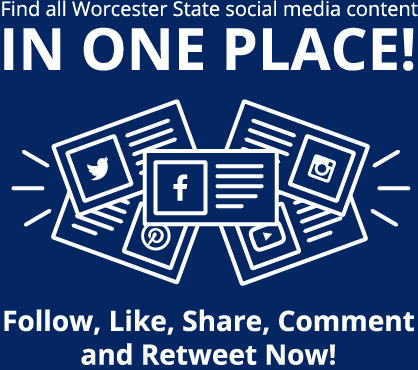 Immediately following the conclusion of the contest, both women’s basketball teams had an autograph session where the students were able meet the Lancers of Worcester State, and the Jumbos of Tufts. 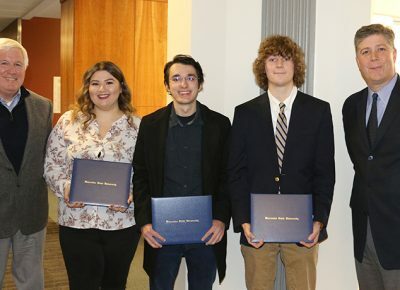 A student proposal to create an online pet supply company won the 2017 Robert K. O’Brien ’58 Next Big Idea Competition, which took place on Friday, Dec. 9. Senior Andrew Stoddard’s plan for Pet Supplies Giant—a one-stop shop for pet food, medicine, and other necessities—won the $2,500 first-prize. Junior Francesca Jandrow won second place and $1,500 for her idea to create StudTea, a . . .